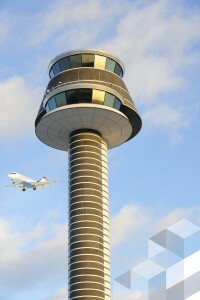 Airport Resource Planning and Optimization Solutions. The Quintiq next-generation optimization solution enables aviation industry players to plan their resources more effectively – from airports and airlines to air traffic controllers and ground service providers. With air travel expected to increase tremendously in the coming years, there is an urgent need for industry players to ease bottlenecks and speed up processes. Quintiq provides a single planning solution that drives agile decision-making across the board, thus enabling companies to optimize their services, and meet business goals of higher efficiency and profitability. At the core of the Quintiq software is a world record-breaking optimization technology that is able to generate the best possible planning solution, even in the most complex and dynamic of environments. Configured to meet the exact needs of each company, the software provides planners with full visibility of company processes and constraints, and access to real-time feedback. All this information enables them to create and compare different what-if scenarios; make smart allocation decisions; manage disruptions; and handle last-minute schedule changes effectively. As a result, they make the best possible decisions about the use of their scarce resources. Backed by over 10 years of experience in the aviation industry, Quintiq has helped leading companies improve passenger flow through airports, deliver millions of meals to multiple airlines every year, and roster tens of thousands of employees – including half of the world’s air traffic controllers. Well supported by the Quintiq next-generation optimization solution, companies are more prepared than ever to face the growing challenges in this dynamic industry. Providing great passenger experience and keeping airlines happy is a challenge for your airport. It requires billions of decisions today about making the most out of your resources and even bigger decisions to be ready for the future. Quintiq will allow you to maximize the efficiency of your airport operations by optimizing processes along the travel value chain. Airport management is a dynamic business. Plans change, disruptions occur on a daily basis, but your focus on the safety, security and comfort of the millions who pass through your airport every year must remain the same. How do you balance this with the need to please multiple stakeholders and comply with complex regulations and labor agreements whilst maintaining healthy profit margins? Quintiq software provides the solution to the complex airport planning puzzle. Quintiq is configured to respect all of your organization’s unique constraints, such as contract-specific requirements, labor regulations, and resource availability and capabilities. Quintiq planning & optimization software empowers you to create fully-practicable long-, mid- and short-term plans in line with your key performance indicators. You define your efficiency, customer service and profitability targets; Quintiq gives you the tools and the feedback you need to plan according to those targets. Furthermore, Quintiq gives your planning department the flexibility to handle last-minute schedule changes. Airline services are expected to be reliable and on time. Less than that results in unhappy customers. At the same time airlines operate in a global environment where success is determined by the interplay of many factors. This challenging puzzle requires a global approach using a fully integrated and reliable planning platform. Quintiq allows you to minimize costs, unlock flexibility and drive up your service levels. Effective airline planning relies on your ability to balance cost per available seat mile (CASM) with employee satisfaction, customer satisfaction and the complex constraints in every aspect of your business. Add to the mix daily disruptions, changing legislation and fluctuating traffic for an extremely challenging planning puzzle. Quintiq software provides the solution to the complex airline planning puzzle. It’s configured to respect all of your organization’s unique constraints, such as contract-specific requirements, labor regulations, and resource availability and capabilities. You define your efficiency, customer service and profitability targets; Quintiq gives you the tools and the feedback you need to plan according to those targets. Quintiq also gives your planning department the flexibility to handle last-minute schedule changes. In a ground handling operation speed and flexibility are essential to deliver high-quality service to airlines and airports: it is all about having the right team available at the right time. That requires even more speed and flexibility from your planners. Quintiq provides the tools for fast decision making by taking into account the reality of today as well as your ambitions for the future. How do you cope with the increasing complexity of employee planning in the air traffic control sector? Is your planning department equipped to create plans which fully incorporate government legislation, labor agreements and the latest fatigue risk management principles? Worldwide air traffic controller shortages compound the problem, making it harder than ever to balance capacity with demand while respecting all rules and regulations. Quintiq’s workforce planning & optimization solution supports you in running a safe and cost efficient operation by incorporating all constraints at the strategic, tactical and operational planning levels in one integrated solution. The same planning platform can be used to plan ATCO training and simulation. We’re proud to work with some of the world’s biggest air navigation service providers (ANSP) including Deutsche Flugsicherung, Skyguide and ATNS. Find out more about Quintiq customers in your industry.